The Neuropsychotherapist is the quintessential publication bridging the gap between science and the practice of psychotherapy for mental health professionals. The Neuropsychotherapist aims to report on the neuroscience and physiological modulators of mental states and disorders to advance the therapeutic practice of psychotherapy. We also provide general interest articles around the subject of psychotherapy and mental health for the mental health professional in an accessible magazine format as well as an interactive community of like-minded clinicians. We are looking for articles related to the neurological or other biological underpinnings of mental states/disorders that would enhance therapeutic practice. We are also interested in other general interest articles on the subject of psychotherapy, psychology, neuroscience, psychiatry, and mental health in general. A statement to the editor that this is original and previously unpublished material, or the appropriate permissions if it has been published by a third party. A statement that the manuscript has been read and approved by all the authors, and that each author believes that the manuscript represents honest work and are in agreement that it can be published by The Neuropsychotherapist. Authors are responsible for ensuring material submitted does not infringe existing copyrights or the rights of a third party. We do not require the transfer of copyright to be published in our magazine (the authors retain copyright). We only require an agreement for the rights to publish. This standard agreement is found here: Publishing Agreement. This form must be completed before we publish your piece. In return for publishing your article you will be offered a one year subscription for short articles and columns and a three year subscription for feature articles. This subscription gives you all membership privileges and access to all our archived material. 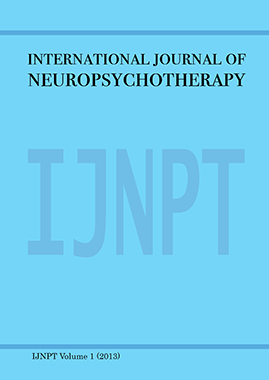 The International Journal of Neuropsychotherapy (IJNPT) is an open access, online journal that considers manuscripts on all aspects of integrative, biopsychosocial issues related to psychotherapy. The IJNPT aims to explore the neurological or other biological underpinnings of mental states and disorders to advance the therapeutic practice of psychotherapy. Our mission is to provide researchers, educators and clinicians with the best research from around the world to raise awareness of the neuropsychotherapy perspective on mental health interventions. 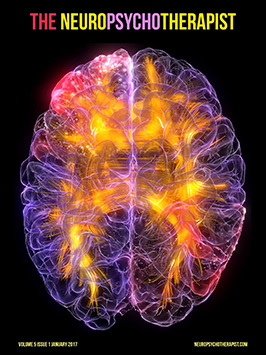 In accordance with the scope of the journal, papers submitted must be associated with the neurological or other biological underpinnings of mental states/disorders, or advances in any biological/psychological/social understanding of interrelatedness and impact on psychopathology or normative mental states and how these advances in knowledge impact therapeutic practice. Empirical Studies: Original research representing solid practical and theoretical advances in neuropsychotherapy. Case Studies: Case studies highlighting neuropsychotherapy theory and methodology in clinical application. Review Articles: Meta-analytical papers and other such review research critically evaluating previously published material directly related to Neuropsychotherapy (Literature Reviews). Letters & Research Notes: Short descriptions of important current research findings associated with, and important to, a biopsychosocial understanding of psychopathology and therapeutic interventions. Research papers should be formatted to the general IMRAD layout and follow APA style. For a review of acceptable format you can visit the International Committee of Medical Journal Editors articles on Preparing a Manuscript for Submission to a Biomedical Journal. A full statement to the editor, about all submissions and previous reports that might be regarded as redundant publication of the same or very similar work. Any such work should be referred to specifically and referenced in the new paper. Copies of such material should be included with the submitted paper to help us address the situation. A statement of financial or other relationships that might lead to a conflict of interest, if that information is not included in the manuscript itself. A statement that the manuscript has been read and approved by all the authors, and that each author believes that the manuscript represents honest work. The Neuropsychotherapist provides open access to the International Journal of Neuropsychotherapy and all of it content on the principle that making research freely available to the public supports a greater global exchange of knowledge, increased readership, and increased citation of our author’s work. For more about the philosophy of open access, see the video at the bottom of the page. After an initial filtering by the Editor, manuscripts will be reviewed by two recognised experts. Peer reviewers will give recommendations to the editors as to the validity, coherence and originality of the manuscript and if it should be accepted, revised, or rejected. Final decisions will be made by the Editor in Chief in collaboration with advisors. The review process is at the total discretion of the editors and publisher. The IJNPT is open access, free to the public to maximise reach for the authors and their findings. There are, however, costs associated with managing and publishing open access journals, such as administration, copy editing, platform maintenance, CrossRef membership, and journal management. Successful submissions are charged a Processing and Copy Editing fee of $0.08/word to cover publishing costs. Successful manuscripts are copy edited to an advanced level by our experienced academic editors to ensure the highest publishing standard. This is the only fee charged to the author(s) at what we believe to be a generous rate when compared to that of many other open access journals, given that an advanced copy editing service is integrated into the fee. Additionally, a discounted $0.05/word fee applies to first-time submissions (and authors, funding themselves without company or institutional financial backing, who are unable to afford the regular fee can also apply for this discount). Articles should be submitted as a Microsoft Word document for ease of editing and tracking comments by reviewers. All final editing will be passed by the author for final agreement before publishing. Manuscripts that have been published in another journal or citable form will be considered redundant and will not be considered. Authors are responsible for ensuring material submitted does not infringe existing copyrights or the rights of a third party. We do not require the transfer of copyright to be published in our journal (the authors retain copyright). We only require an agreement for the rights to publish. This standard agreement is found here: Publishing Agreement. This form must be completed and accompany your submission. We adopt the following creative commons license: Attribution-NonCommercial-NoDerivs (CC BY-NC-ND) This license only allows others to download the article and share it with others as long as they credit the author, but they can’t change the article in any way or use it commercially. The Neuropsychotherapist is a publisher member of Crossref, the official DOI registration agency for scholarly publications. Articles published in the IJNPT will be referenced with their own unique digital object identifier, providing the article with a persistent, actionable identifier for that piece of intellectual property. We encourage authors to include DOI’s in their reference list when a DOI is available for a particular citation. Our online publication will provide hyperlinks with each specified DOI. We are encouraging authors to produce video abstracts or introductions to their papers. This is by no means compulsory, but is a highly effective way to engage readers and effectively communicate the core elements of your paper. the video should be less than five minutes long and communicate the main thrust of your paper. The video will be displayed as small as 320 x 240 pixels, so no small text or diagrams that would be difficult to see at this resolution. You must not use anything in your video that you do not have copyright to (music, images, insignias, and so on). The video will be considered to be under nonexclusive copyright terms. If you are interested in producing a video abstract or introduction please let us know with your submission. We follow the International Committee of Medical Journal Editors guidelines for biomedical journals. For a complete list of Uniform Requirements for Manuscripts please click on the ICMJE logo below. Georg Northoff, M.D., M.A., Ph.D.
For general interest articles, commentaries, reviews, reports, etc., please consider publishing in our quarterly eMagazine. 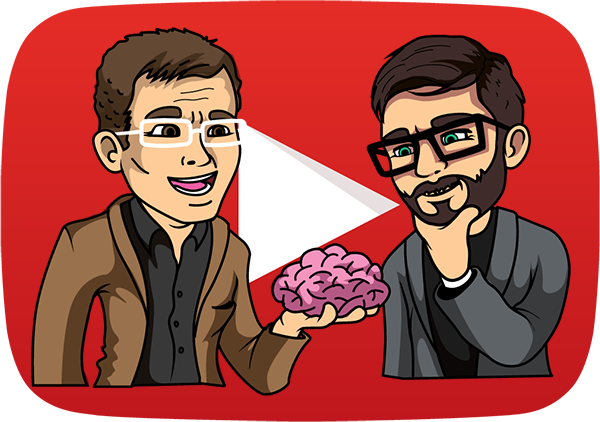 Nick Shockey and Jonathan Eisen talk about what open access publishing is all about.